Grandparents are a key to the success of your Children's Ministry for several reasons . . . They love their grandchildren with a strong and powerful love. They care very much if their grandchildren choose to know, love and follow God. 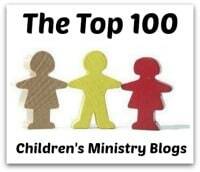 They are the second most influential people in the lives of the children in your ministry - second only to parents. They care if your Children's Ministry is effective. So, with these things in mind, if you are not already planning to celebrate Grandparent's Day, reconsider and plan to do something - it is September 10th, so you have time to do something! Consider the following idea from the Legacy Coalition . . .
September 10 is Grandparents Day! 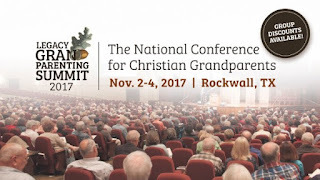 And we'd love to have your church encourage grandparents and promote our conference at the same time, if they will. We have a flyer which can be printed - double sided - with encouragement for grandparents on one side, and information about the Legacy Grandparenting Summit on the other. Click the button below to download the Grandparents Day flyer. Please keep our amazing team in your prayers - Wayne Rice, and all the others who help him are working hard to make your conference experience incredible. We'll see you in November! Would you like Legacy Grandparenting Summit posters and bulletin inserts for your church? You can download these items from our online Publicity Kit now.